The U.S. Department of Housing and Urban Development (HUD) requires counts of sheltered and unsheltered homeless persons for those communities receiving federal funding from the Continuum of Care (CoC) and Emergency Solutions Grant Programs. These are called Point-in-Time Counts (PIT), as they occur during one day, the last ten days of January. HUD also requires the annual completion of a Housing Inventory Count (HIC), which provides an overview of a community’s homeless program inventory. The HIC must be completed on the same day as the PIT Count. 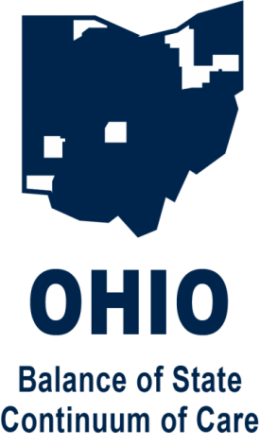 Lists all projects currently included in the Ohio BoSCoC housing inventory (except ES overflow) and indicates which projects are required to submit a HICVR during the 2019 Housing Inventory Count.